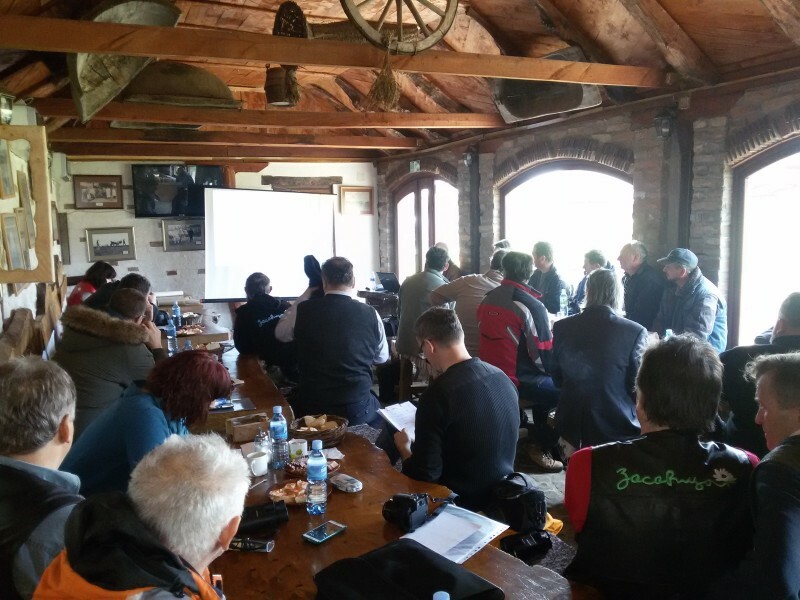 As a part of the Pilot Project “Flooding Zasavica” on February 25th 2016, the first workshop was held for all parties interested in conflict resolution of the establishment of an adequate water regime in the area of ​​the reserve. After presenting possible scenarios for improving the water regime of Zasavica, which would be favorable for improving the conservation status of all endangered species with international protection status, representatives of the local community, JVP Vode Vojvodina , VPC Sava- Sabac, fishing association ” Karaš “, Faculty of Applied Ecology Futura and Nature Conservation Movement of Sremska Mitrovica had the opportunity to discuss the vision of the future reserves and ways of their realization. Despite the conflict in interests of the local population which is engaged in agriculture and the controller of the reserve, the participants were able to come up with a proposal for a resolution to the conflict – the purchase of critical agricultural plots that are flooding during periods of high water. In addition, the workshop has established a Committee of stakeholders who will monitor the project activities and monitor the implementation of activities for the solution of the water conflict in SNR Zasavica.